Dubai: Rents for apartments in the world’s tallest tower are dropping further, a quick search in property offers by Dubai’s agents shows. Costs of renting a studio of around 560 square feet in the tower are down to Dh90,000 a year, according to property broker Better Homes. The asking price for a one-bedroom apartment is at Dh120,000, while two bedrooms are advertised for Dh220,000. Similar offers can be found at Bayut or Propertyfinder. According to Better Homes sales adviser Laura Adams, about 825 of 900 apartments in the Burj Khalifa are still empty, some nine months after the tower’s launch. Rents have dropped about 40 per cent since Gulf News exclusively reported the first offers for the Burj apartments, which stood at Dh140.000 for a studio at the beginning of June. One-bedroom units ranged between Dh180,000 and Dh260,000, and two-bedroom apartments started at Dh300,000. This means that rental yields for apartment owners are at much lower levels than expected. Assuming an owner rents out a average one bedroom apartment of 986 square feet for Dh120,000, and has to pay Dh52.77 per square foot annual service charge for community service, chilled and hot water, as announced by tower builder Emaar in June, he will lose one third of the rental income on the charges alone. Only if the owner managed to buy the apartment at launch prices (in this case around Dh900,000), can he earn a yield of around 7.5 per cent. Others who bought later at a higher price will face significantly lower yields. 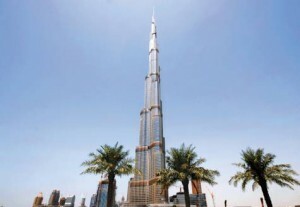 Emaar sold 90 per cent of the homes in the tower before the January opening. The building also has 144 Armani-branded residences, 37 floors of office space and 160 hotel rooms. It houses Armani’s first hotel and an observation deck on the 124th floor. Sales prices in the Burj Khalifa are down to around Dh3,000 per square foot, as opposed to the peak in 2008 when some apartments had a price tag of up to Dh10,000 per square foot. Dubai Reidin.com, a real estate information company covering emerging markets, yesterday announced its September 2010 Sales Price Index for Dubai (SPID), an online database of proprietary real estate indices for the UAE designed to accurately track price fluctuations in the residential real estate market. The index registered an overall decline in the rates for apartments and villas, according to the index, leading to a dip in both month-on-month and year-on-year levels. However, there was a sense of optimism as sale prices of apartments in the “50 square metres and less”, and “151 square metres and more” categories rose moderately during the month. According to the September data, the Sales Price Index Dubai-All Residential fell 2.30 per cent from the previous month. The index level also represents a year-on-year decrease of 4.86 per cent against September 2009. Apartment prices dropped 2.43 per cent while villas were cheaper by 2.40 per cent in September compared to August. Reidin found the biggest quarter-on-quarter decline in Jumeirah Beach Residences (down 3.83 per cent), followed by The Springs and The Meadows (down 3.78 per cent). Only two of Dubai’s 17 residential districts showed positive trends. All other districts registered declines.